Severe inflammatory acne is the most serious form of acne vulgaris. Sometimes it's called cystic acne, nodular acne, or nodulocystic acne. By any name, severe acne is something that should be taken seriously. The good news is it can be treated. What sets severe acne apart from milder forms is the amount of inflammation. You'll have lots of papules, pustules, and comedones, but you'll also have nodules, cysts, or both. Blemishes often feel like they are in deeper layers of the skin, and they can be painful. Severe acne can happen at any age and in both men and women. Besides the face, breakouts can happen on your back, neck, chest, and shoulders. While severe acne usually means there is inflammation, some people have severe comedonal acne instead. The difference is that instead of inflamed nodules and cysts you'll have lots of non-inflamed blackheads and closed comedones. Again, there will be a large number of breakouts and they will be widespread. How Can You Tell If Your Acne Is Severe? Your blemishes are widespread, and cover a significant part of your face and/or body. You have a lot of redness and inflammation on your skin. Many of your blemishes are deep, inflamed, and painful. Over-the-counter (OTC) treatments have done nothing to improve your skin. If this sounds familiar, you may have severe acne. Sometimes it's hard to determine where your acne falls on the severity scale; that's OK. If you've tried OTC acne treatments for 12 weeks with little or no improvement, it's time to see a dermatologist, regardless of how severe your acne is. Severe acne easily leads to scarring, so it's critical that you get treatment right away. But acne of this type won't respond to any over-the-counter treatments; don't even waste your time and money there. Instead, go to a dermatologist as soon as possible. Severe acne should be treated aggressively, often with multiple medications, to get it under control. There are many treatment options that can help improve even severe acne, but it's probably not going to be a quick or easy matter. It takes time and careful treatment to get your acne under control. Be prepared to follow the treatment regimen your dermatologist sets for you exactly. Severe acne can cause damage to both the skin and the psyche. This type of acne often causes scarring, even with careful treatment. 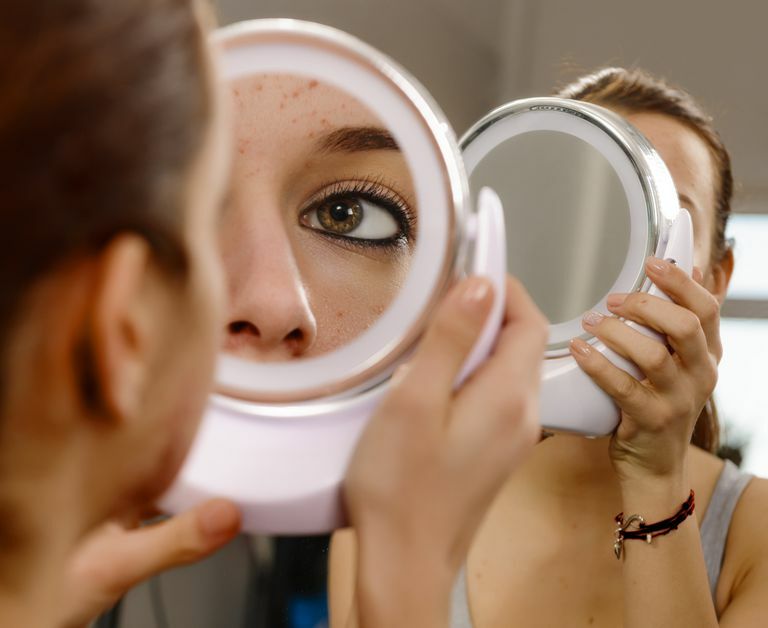 Once your acne is fairly under control, your dermatologist can help you devise a treatment plan to improve scarring. Don't downplay how demoralizing and isolating acne of any severity can be. Acne can definitely batter your confidence. Getting treatment can help you feel better. But if you feel acne is completely overwhelming your life, ask your physician for help. Severe acne is a tough problem, but it can be managed. If you're willing to put the time in, work with your dermatologist, and faithfully follow your treatment plan, you can get significant improvement in your skin. Don't give up—there is hope. Questions and Answers About Acne. Bethesda, MD: National Institutes of Health, 2015. What Can Clear Severe Acne? American Academy of Dermatology. https://www.catalog.niams.nih.gov/detail.cfm?pubid=3098.